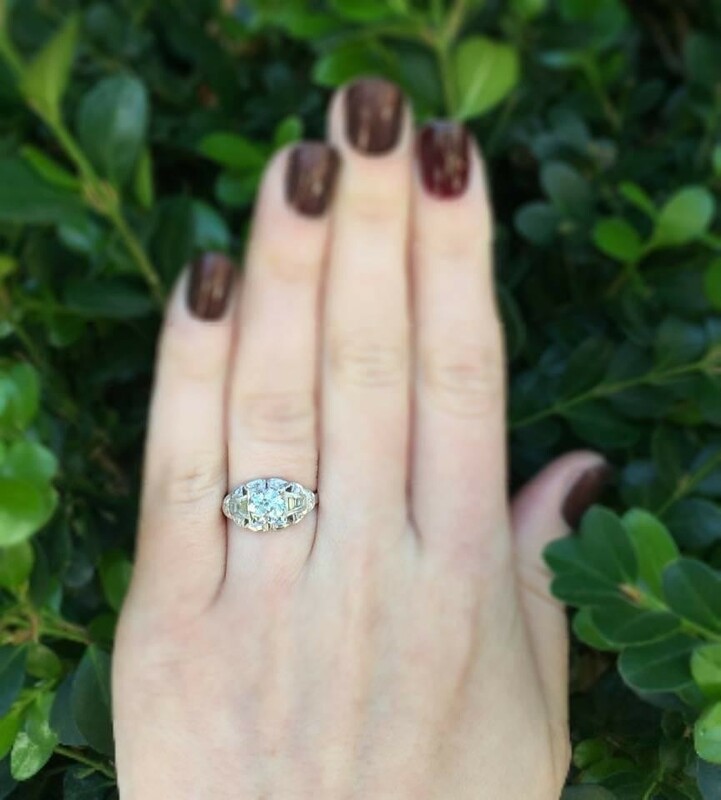 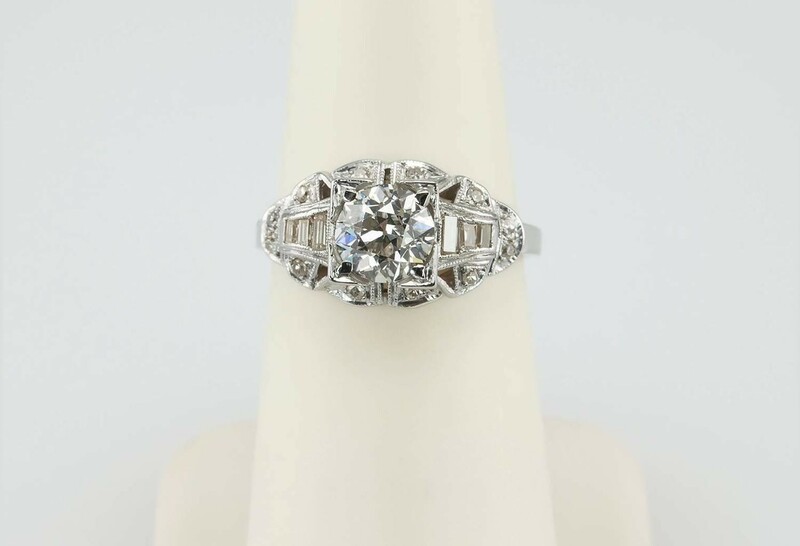 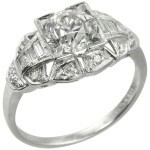 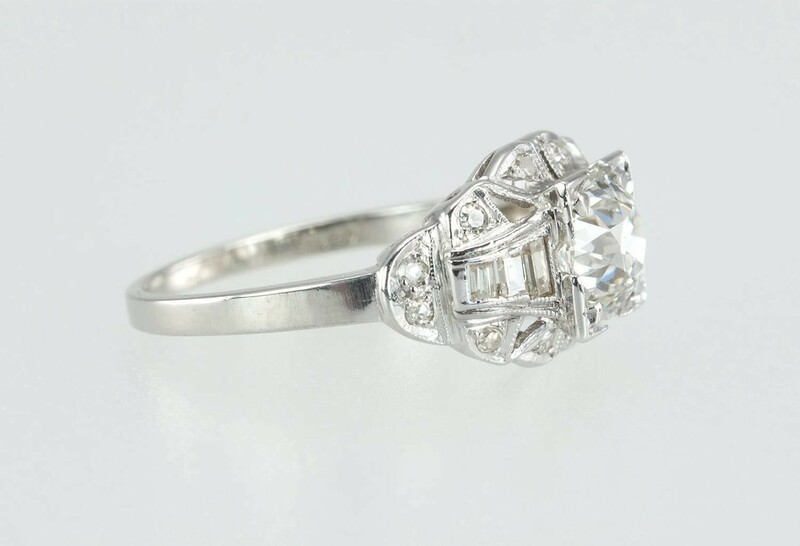 A gorgeous Art Deco diamond and platinum engagement ring. 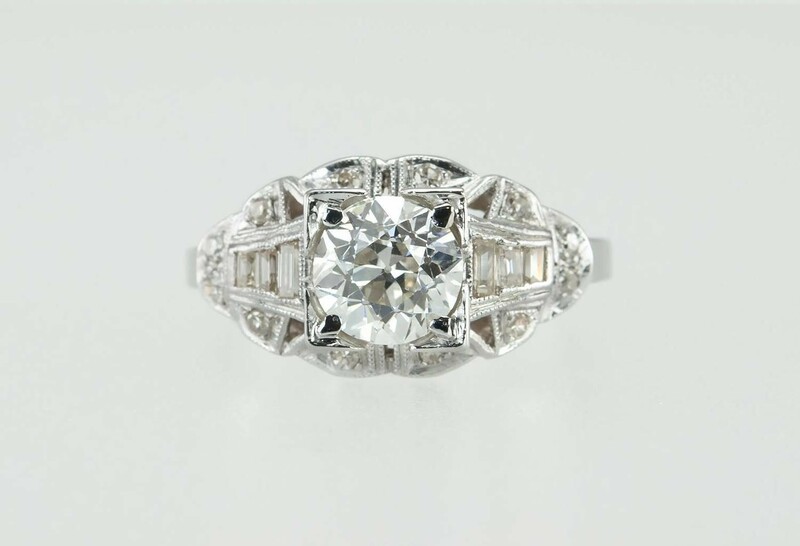 The center Old European Cut diamond is 1.06 carats, F in color and VS1 in clarity (per EGL certificate). 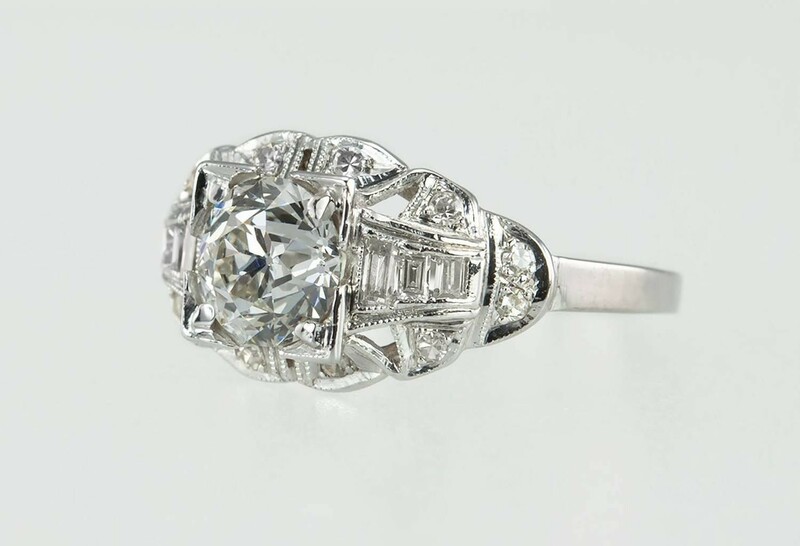 The center diamond is further accented by 12 single cut diamonds and 6 diamond baguettes. 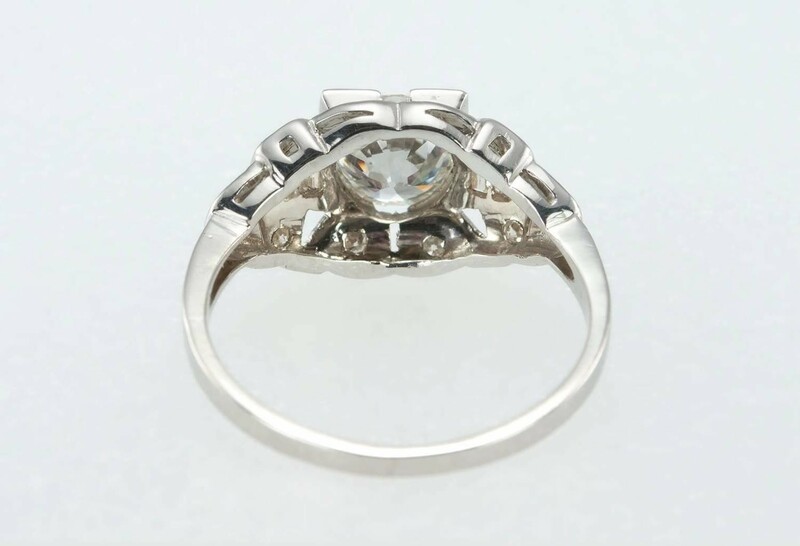 The cut outs further enhance the interesting geometric shapes and add a lightness to the design. 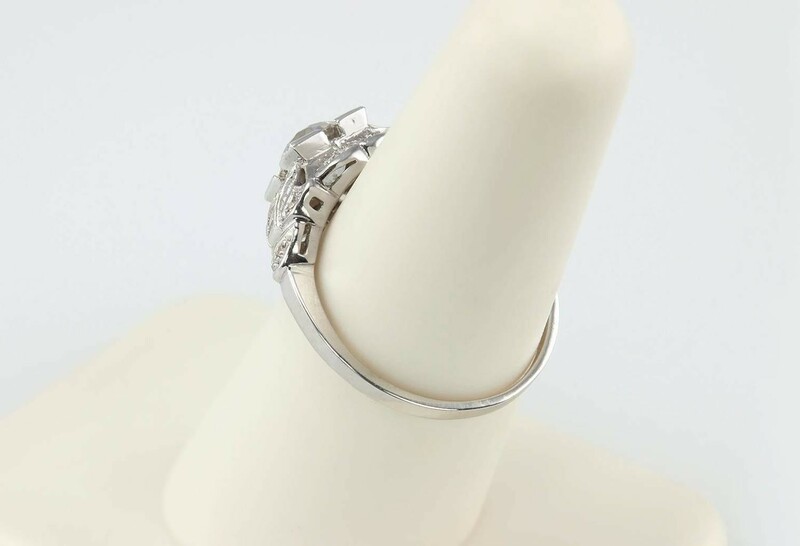 The ring is approximately 0.38 inches in height and 0.24 inches in depth.